There is some flexibility with this package in that you can have a say over which 3 mountains you'll climb: 1 each in England, Scotland and Wales. By way of turning the 3 Peaks Challenge on its head this event won't be routed along the quickest or shortest routes, but via some of the most dramatic instead. Great for those who enjoy the thrill of a sheer drop or a high level scrambly ridge, this challenge offers excellent viewpoints and a truly memorable experience. Meet the Activus crew at Warrington Bank Quay Railway Station at 4.15pm. Travel down to your hostel accommodation in Welsh Llyn Ogwen Valley. Receive a briefing about the challenge ahead, then get settled, have your evening meal and pack your daysacks ready for an early start the next morning. Wake up before 6am and have an early continental breakfast before grabbing your gear and food and drink for the first peak and heading off up Tryfan via the North Ridge Scramble. There is no one way up so choose the route up this grade one scramble yourself. The walk should take no more than 4 hours so you'll be on the road again well before midday and should arrive up at Glenridding in the Lake District by 4pm that afternoon. Collect what food and drink you need and then set off up Helvellyn over the breathtaking Striding Edge and Swirral Edge. After 4 hours you'll be back in the car park and climbing into the minibus ready for the final leg of driving. Try and get some sleep during the journey! 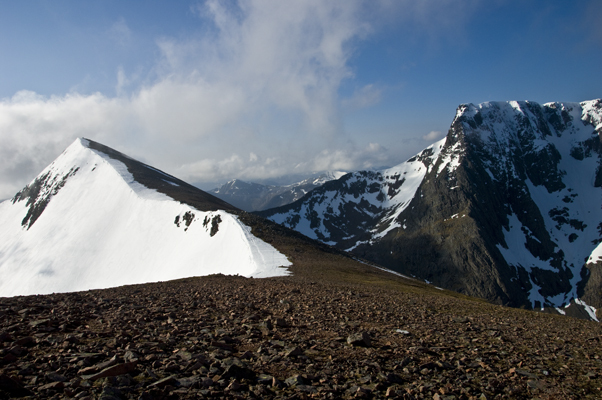 Around 1.30am arrive at Glen Nevis and set off up Ben Nevis via the Carn Mor Dearg Arete route. This is a challenging climb with sections which are extremely steep but it is extremely satisfying once you finally reach the summit plateau. Once its over you'll head off to take a nearby shower to get washed and changed and then tuck into a hearty full english before receiving a de-brief and departing for the airport. Price is based on our standard package for group size 8; however, we can provide specific costings for tailor-made events on receipt of your booking request.